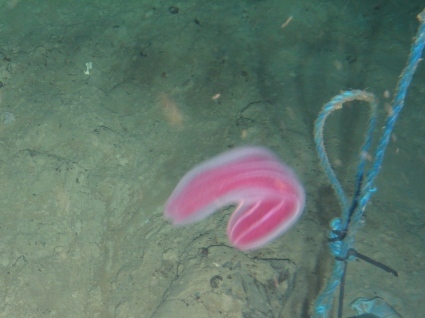 A Ctenophore observed during ROV operations at a SERPENT experimental station. It is certainly a Beroe and most likely Beroe abyssicola. Beroe IDs are a little tricky as the existing descriptions are less than perfect and there may be less - or different - species than there are names out there.